Episode No. 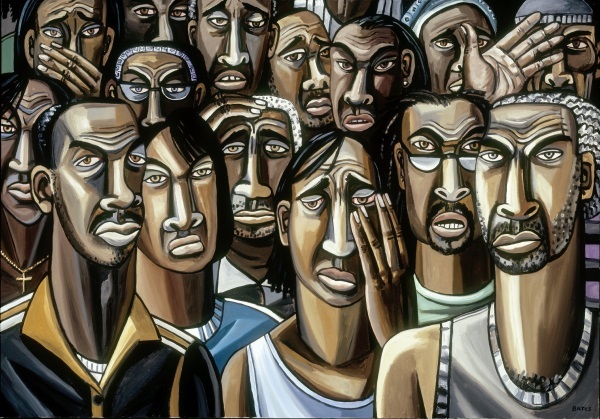 119 of The Modern Art Notes Podcast features artist David Bates. The program was taped in front of a live audience on February 11 at the Modern Art Museum of Fort Worth. 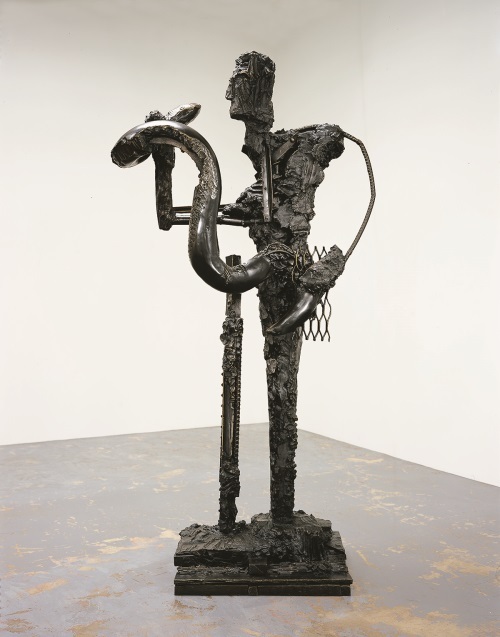 Bates is the subject of a two-museum retrospective on view at the Nasher Sculpture Center and MAMFW. Both shows are on view through May 11. The Nasher show features mostly sculptures, but also paintings and works on paper. The MAMFW show features Bates’ paintings. 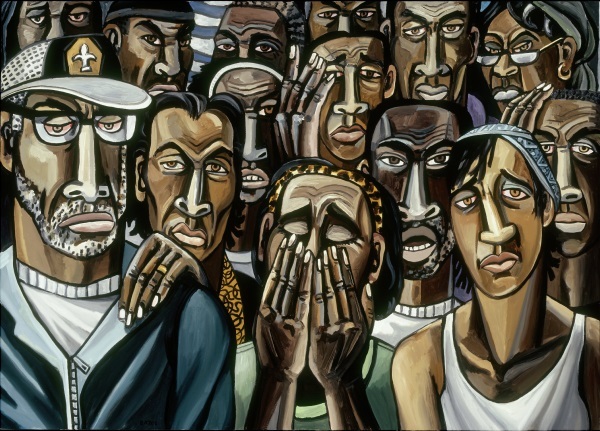 Bates’ work has been the subject of numerous museum exhibitions, including most recently the 2010 “The Katrina Paintings” at the Kemper Museum of Contemporary Art in Kansas City. 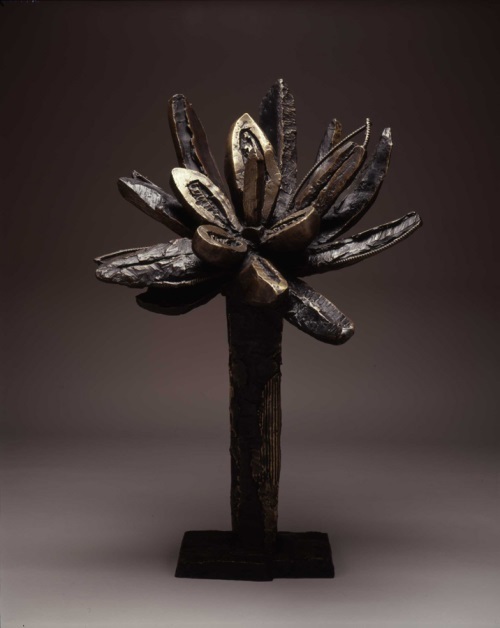 Bates’ work is in numerous museum collections, including the Hirshhorn Museum and Sculpture Garden, the Yale University Art Gallery, the Whitney Museum of American Art and the Metropolitan Museum of Art. Air date: Feb. 13, 2014. 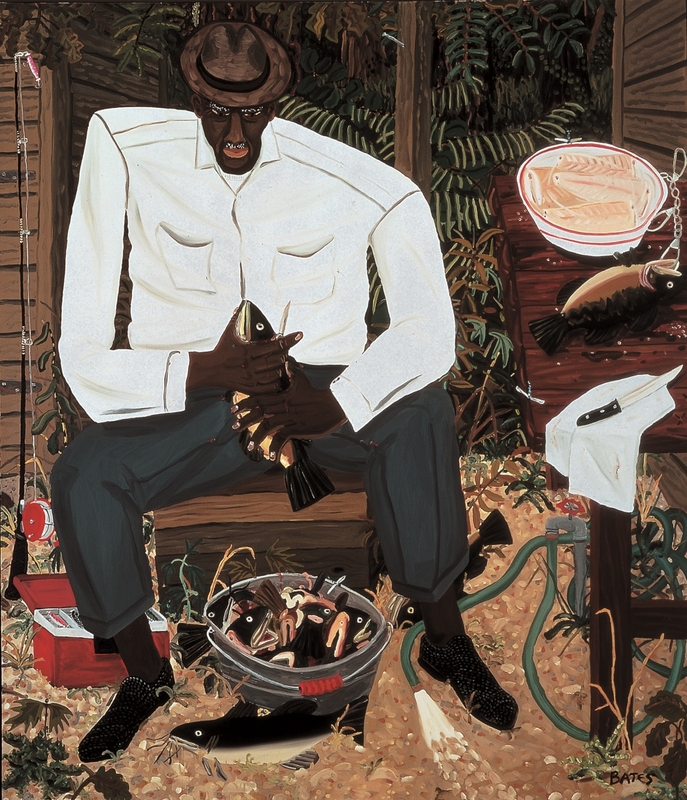 David Bates, Ed Walker Cleaning Fish, 1982. 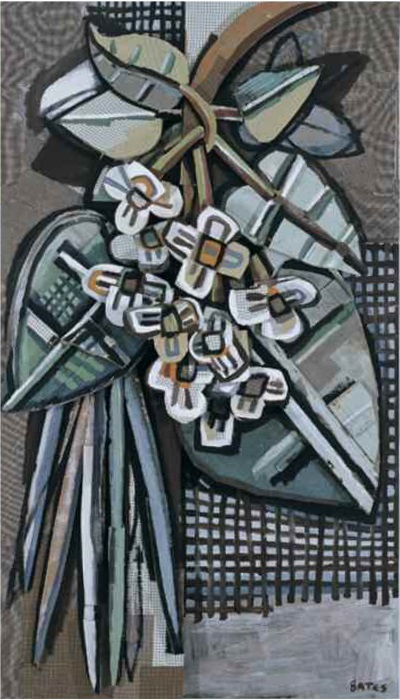 David Bates, Jan’s Magnolia, 1986. 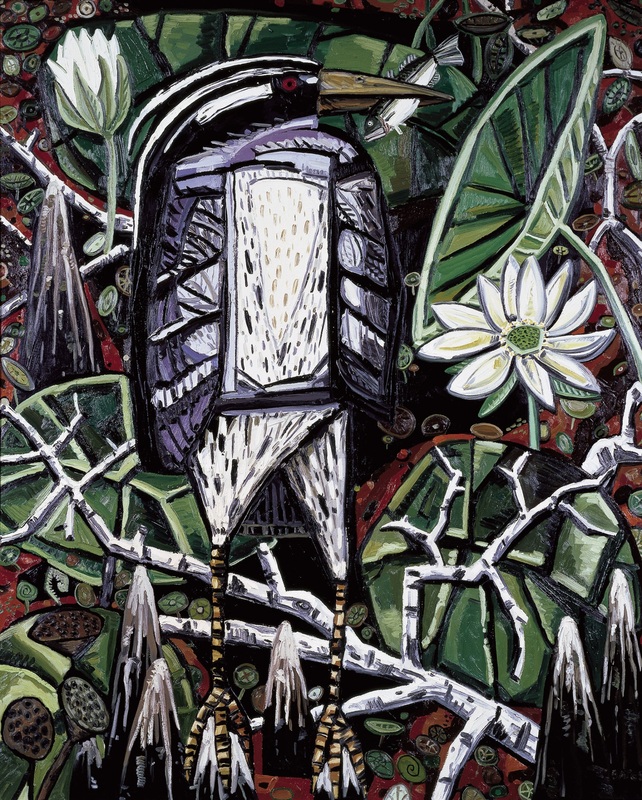 David Bates, Night Heron, 1986. Collection of the Modern Art Museum of Fort Worth. David Bates, Shark Line, 1990. 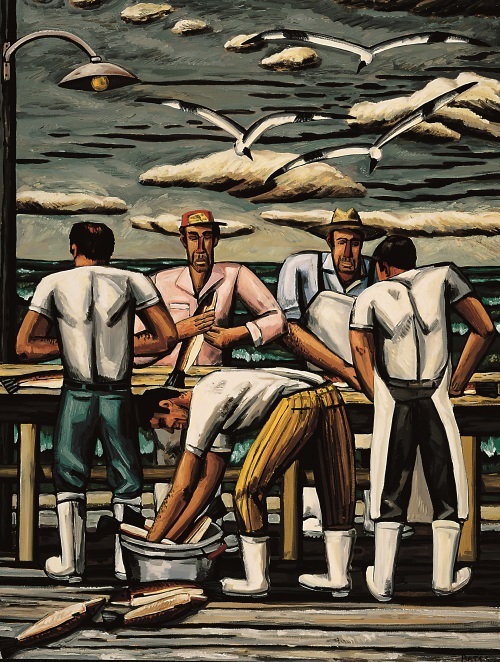 David Bates, The Cleaning Table, 1990. 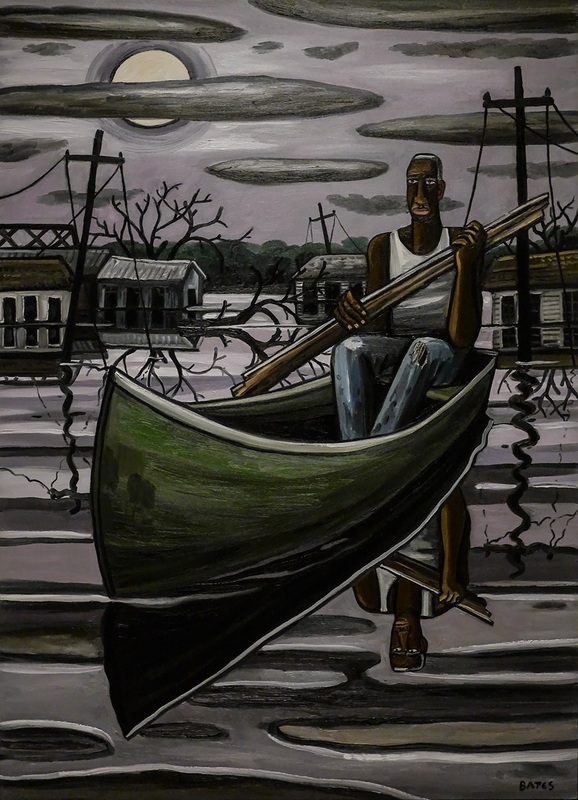 David Bates, The Deluge III, 2006-07. 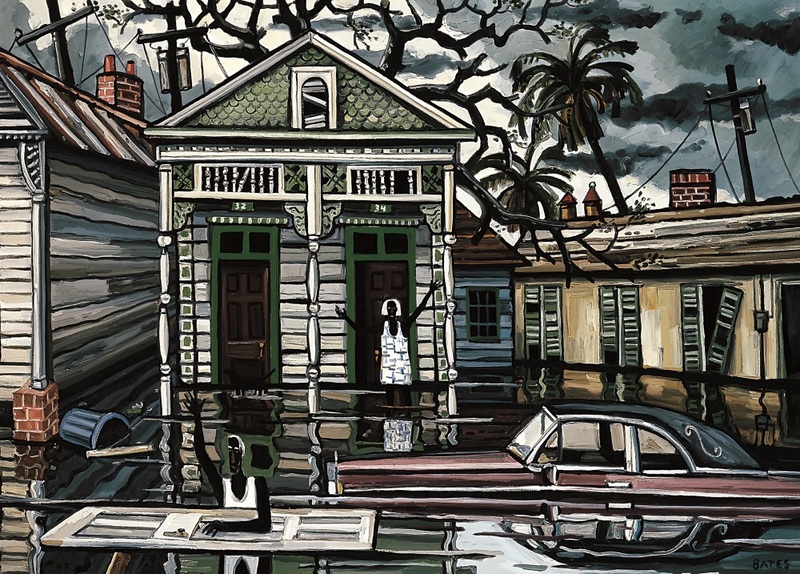 David Bates, The Storm (Super Dome) [left], 2006-07. Collection of the Kemper Museum of Contemporary Art, Kansas City. David Bates, The Storm (Super Dome) [center], 2006-07. Collection of the Kemper Museum of Contemporary Art, Kansas City. David Bates, The Storm (Super Dome) [right], 2006-07. Collection of the Kemper Museum of Contemporary Art, Kansas City. 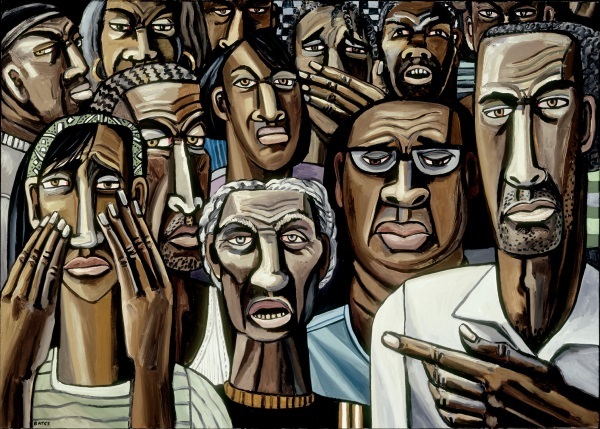 David Bates, The Deluge V, 2007. 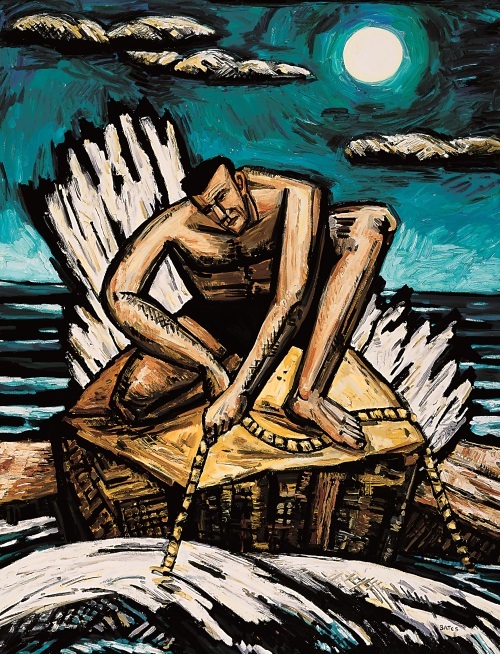 David Bates, Man with Snake III, 2000-01. 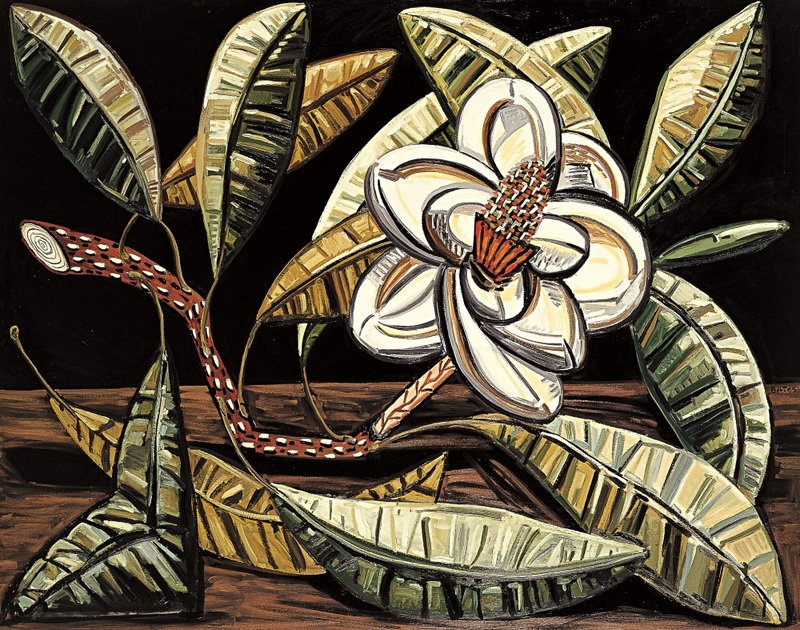 David Bates, Black Magnolia I, 2000-01. David Bates, Catalpa Branch, 2001. 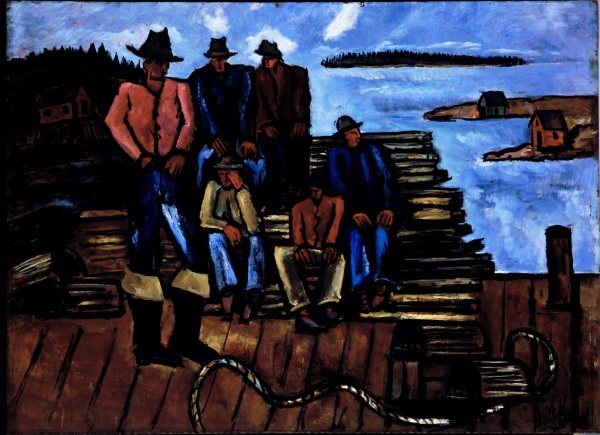 Marsden Hartley, Lobster Fishermen, 1940-41. Collection of the Metropolitan Museum of Art, New York. 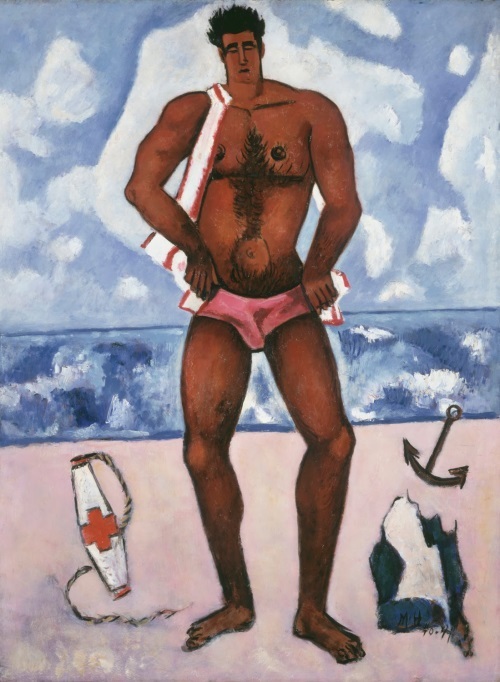 Marsden Hartley, Canuck Yankee Lumberjack at Old Orchard Beach Maine, 1940-41.